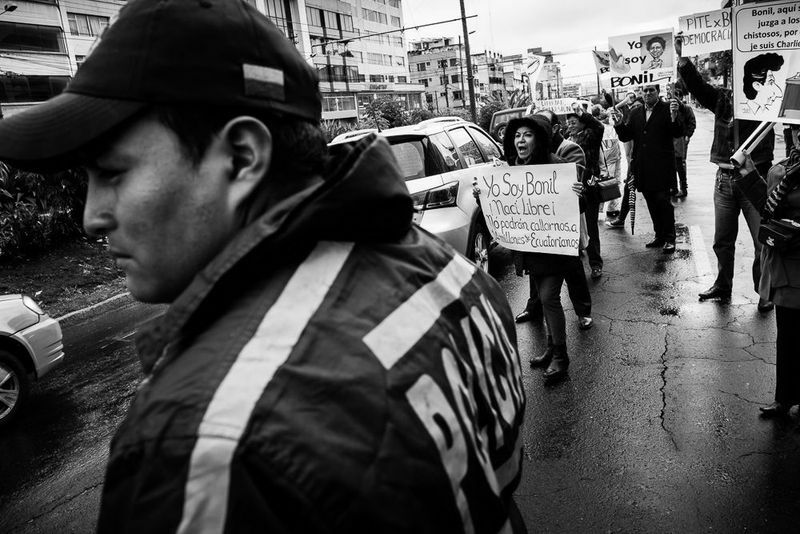 In a radio feature and interview, Ruxandra breaks down Ecuador's media law and shows how those opposed to it fear too much government control over the press, and how those in favor fear a freewheeling media run amok. Listen to the radio feature and interview here. 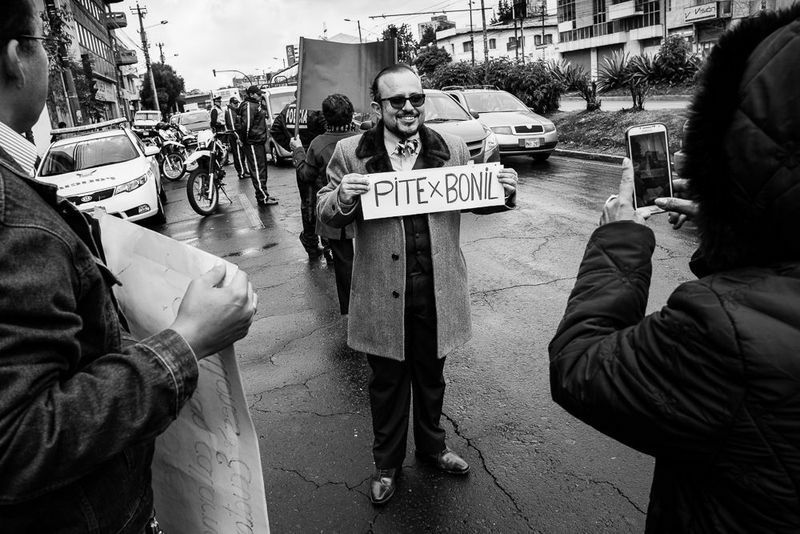 A lively crowd of Quito journalists, cartoonists, and residents protested the trial of veteran cartoonist Bonil today. Bonil has been making fun of politicians and presidents for over three decades; most recently, in his weekly column in Diario El Universo, one of Ecuador’s main daily newspapers. Only a year ago, Bonil and El Universo were fined for a cartoon criticizing the house arrest of a journalist by the government. This time, he’s been accused by SUPERCOM (the government media monitoring agency, masterminded by President Rafael Correa) of publishing “racist and classist” content, because he mocked an Afro-Ecuadorean politician in his cartoon. Later, the charge was changed to "economic discrimination" -- a possible $180,000 fine. A story on censorship in Ecuador is coming soon. 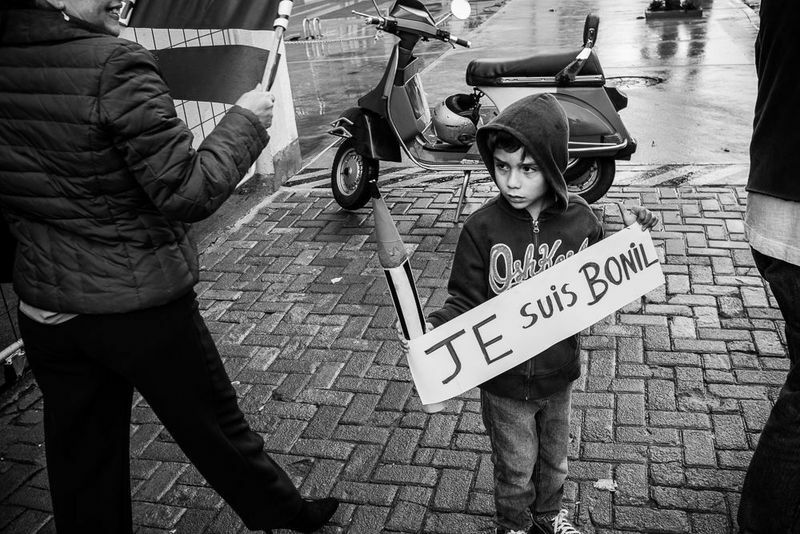 In the meantime, read this great opinion piece: “De #JeSuisCharlie a #YoSoyBonil" (in Spanish). To view the photo slideshow of Bonil's second trial at SUPERCOM, click the photo above.